Can I Play Lotto 47 Online? Read Reviews! Tired of all the online lotteries that the world has to offer? Well, that’s a bit of an overstatement, but you get what we mean. If you live in Michigan, chances are that you’ve heard about Lotto 47. It’s a nice little opportunity to diversify your usual lottery ticket buying routine. A single line costs just 1 dollar, which is why Lotto 47 should be on your radar already. With a minimum guaranteed jackpot of 1 million dollars, it’s definitely a juicy opportunity. The Lotto 47 Michigan originated in 2005 and it was set up as a replacement for Winfall – a prior game that was also organized by the Michigan State Lottery. Ever since the launch of the game, the jackpot has been set at a minimum guaranteed amount of 1 million dollars. With such a great possibility to become a millionaire and a ticket price of solely 1 dollar, Lotto 47 Michigan became an immediate hit. Is Lotto 47 a Scam? Lotto 47 Michigan is a 100 percent legitimate opportunity to win some cash. It’s operated by the Michigan State Lottery – an entity that came into existence in 1972. In the beginning, Michigan State Lottery had a primary goal of raising funds for education initiatives through its games. Today, Michigan State Lottery continues raising funds for education initiatives and schools. The organization’s annual financial reports are even published on its website. In 2015, Michigan State Lottery generated 795.5 million dollars for its School Aid Fund. Nearly 1.7 billion dollars were paid out in the form of lottery prizes during the same period. Apart from running Lotto 47, Michigan State Lottery has a number of other popular games. These include Fantasy 5, Daily 3, Daily 4, Club Keno, Keno, Poker Lotto, Lucky for Life and Raffle. The organization is responsible for Mega Millions and Powerball in the state. How to Play Lotto 47? As the name suggests, Lotto 47 has a 6 put of 47 format. To win the jackpot, you’ll have to match all 6 of the numbers for the respective drawing. The lottery has 2 drawings per week – on Wednesday and Saturday. When buying a ticket, you can either enter your own numbers or opt for the Easy Pick option. In the second case, the numbers will be generated randomly by a computer. Apart from giving you this option, the lottery also features advanced ticket purchase. You can buy your tickets for up to 60 upcoming drawings, which will free you from having to visit a local retailer every single week. Apart from this standard gameplay scenario, Lotto 47 comes with an additional opportunity called EZMatch. To unlock this possibility, players will have to pay an additional dollar. If any of the 6 numbers chosen match the EZMatch numbers on the ticket, the player will win additional cash prizes. Sign In to Michigan Lottery, Make Your First Purchase and Get a 50% Bonus! Click on Michigan Lottery Offer to see full offer terms and conditions. The minimum guaranteed jackpot in Lotto 47 is 1 million dollars. If the jackpot isn’t won for the respective drawing, the sum will continue increasing. The jackpot increases by an increment of 100,000 dollars each time there’s no winner. The odds of getting all 6 of the required numbers correct are 1 in 10,737,573. Apart from the top prize tier, Lotto 47 Michigan gives players three additional ways to win some cash. The second prize tier is for 5 correct numbers. The odds of getting 5 numbers are 1 in 43,649 and this second tier comes with a guaranteed jackpot of 2,500 dollars. The third prize tier has a guaranteed prize of 100 dollars for 4 correct numbers. The odds of getting this amount are 1 in 873. The lowest prize tier is reserved for the people that have 3 correct numbers and the prize that they’ll get is 5 dollars. As already mentioned in one of the previous sections, activating the EZMatch options provides additional opportunities to win prizes. The prizes vary from 2 to 500 dollars. The odds of winning 500 additional dollars on top of the main prize tiers are 1 in 84,000. The overall odds of winning any prize in Lotto 47 are 1 in 47. The overall odds of winning any EZMatch prize are 1 in 5. This is one of the main reasons why paying one more dollar to activate the possibility makes a lot of sense for the overwhelming majority of people that play this Michigan lottery. Prizes that reach up to 600 dollars can be obtained immediately from any licensed retailer. The state has more than 11,000 licensed retailers, which makes it easier for winners to get their cash from a convenient location. Prizes that don’t exceed 50,000 dollars can be redeemed at a regional Michigan State Lottery office. A number of banks have also partnered up with the organization to simplify the process of paying out awards. Jackpot winners have to make their claim at the Michigan State Lottery headquarters in Lansing. A valid ID and a social security number will be required. Winners can choose among a cash payment and annuity payments. The annuity payments are provided over a period of 30 years, while a cash lump sum will give winners access to approximately 50 percent of the advertised jackpot. Winners have 60 days to decide which payment method they prefer. Now we need to discuss a topic that’s not so pleasant – taxes. Prizes of up to 600 dollars aren’t reported to the IRS. Prizes in the 601 to 5,000-dollar range are reported to the IRS, but taxes aren’t going to be withheld. Sums over 5,000 dollars will be subjected to a 25 percent federal tax and a 4.25 percent state tax. Non-US residents that live in Michigan and win the lottery will be subjected to a 30 percent federal tax. Can You Buy Lotto 47 Tickets Online? Michigan residents that are aged over 18 can buy tickets online from the official Michigan State Lottery website or the official smartphone app. Residents of other states and people living in other countries, however, cannot buy online tickets. Would you mind rating Lotto 47? There you go – Lotto 47 Michigan is fun and relatively simple to play. Still, the EZMatch option adds a nice opportunity to win a bit more (regardless of the fact that it doesn’t generate huge sums). If you don’t want to dedicate a larger sum of money to an international lottery ticket, choosing a local game may be the best thing to do. Chances are that you’ll enjoy this possibility and everything that it brings to the table. How Much Does It Cost to Play Lotto 47 Online? I really like Lotto 47 Michigan and like the reviewer says, it’s simple and uncomplicated to play. There are many benefits to the player and most importantly, a single ticket costs only 1 dollar. So I never feel like I have anything to lose when I play this lotto. 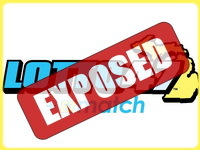 Thank you Lotto Exposed for this review.